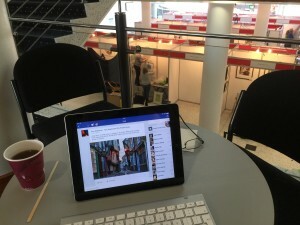 £315 ($480) writing revenue all from my iPad using 4G network via my iPhone as a wifi hotspot and all while setting up a stand. Real story …Years of building a list and putting systems into place that mean I can earn literally from whereever I am in the world. Biggest and best advice I can EVER give you.